Given the debate about coach providers has started up again on the forum (and down at the football club during a snow clearing session earlier) I thought perhaps I’d give you my views on the matter, and take the opportunity to remind you where your investment in the Alliance goes. I’m sick to the back teeth of unnecessary conflict and questioning about the coach situation and I have some hope- perhaps a forlorn hope-that once the facts are out there we can all get on with supporting the club and stop talking about it. And, particularly because our actual number of members is now up into the high hundreds, I thought it may be useful to give more detail on what the CTSA is actually about. So, with perhaps an enormous naivety, here goes…….a potted history, a little info and a few personal views! First and foremost, do I mind that there’s an alternative coach service? Yes. Not because I bear any ill will to those involved- far from it, in fact, we’ve always got on- but because I think it unnecessary. Last summer we all agreed to work together, Alain stated his intention not to be involved in the running of coaches anymore, and we thought we’d all be one big happy family. But then, as Kevin explained to me, Alain changed his mind about packing in coach travel because he was badgered by a collection of former Supporters Club travellers to keep their travelling “family” together. Well fair enough, thats what freedom of choice is all about. These are nice people, they support our club, so be it. I’d just like them to be doing this under the Alliance banner. I think we should be working together, I’ve spoken and had email conversations a number of times with Kevin and tried to broker an accommodation, but it hasn’t got me anywhere so, reluctantly, I’ve given up. I don’t bear any malice, far from it, but I must admit that it is the one big regret I have since the formation of the Alliance. And I would say that it’s probably the one outstanding regret of the Alliance as a whole. But we’ve moved on, it’s old news! The issue about the Hull coaches is one which seems to need explanation, as there have been a few underhand accusations from some who should know better and it wont seem to go away. The Alliance announced a price. We’d have made a little money at that price- nowhere near that which was made from the Manchester United game last year, but a small profit. GH decided to undercut that price. We were slightly surprised they could do that, as we once had the same suppliers and we knew how much a match at that distance would have cost from that supplier as we had tiered price bands. But such is life. People have a choice, negotiations happen, everyone must do what they think is best. The following day we thought again about our pricing structure. The club were worried about getting a large support to Hull as they thought that such a support would give them the best chance of success. The match itself would make a relatively small amount of money for the club. We love having a great squad, but it has to be paid for. If we could encourage a large away support it might make a difference to the outcome and then we’d all benefit. So we did some number crunching. We had a chat with our suppliers, who were brilliant as always. We worked out how much we’d lose if we reduced prices and how much we’d need to make back in ancillary income to finance it. And then we decided it was possible to make that reduction. So we did so. Cue an outpouring of joy and an outpouring of vitriol. I’d like to make two points. Firstly, yes, we charged £12.50 for CTSA members. 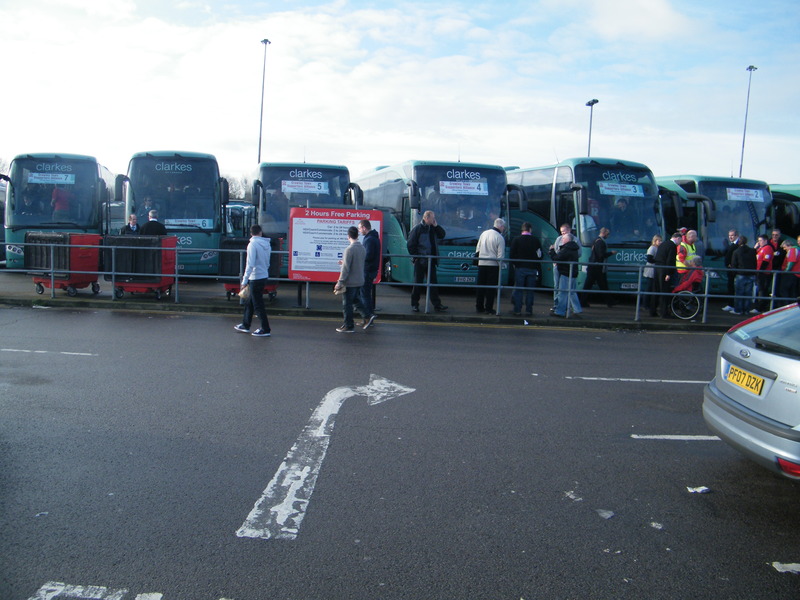 But approximately 80% of those who travelled were non members. They paid £15. The same as they were paying across the road. Secondly, our strategy turned out to be the correct one on all levels. We’re in profit and the team are in the fifth round. Everyone’s a winner! We don’t set out to make enormous profit from coach travel. Our travel strategy at the start of the season was to break even. We’re on course to do just that. If we do make a profit, it is reinvested for the benefit of our community and our club. We offer what we believe is a great travel service, and it is entirely run by volunteers. There are no free rides- even Travel Ken pays what our other travellers pay. We do what we do out of love for our football club (and in Ken’s case, the fame and glory that comes from being a national treasure!). It has been suggested a few times that we could use our financial muscle to continually undercut alternative provision. And we could. But that’s not a good use of our finances. On the odd occasion where the situation demands a special effort and if we have a strategy which will turn loss into profit, fair enough. But that isn’t a long term business plan. We are convinced we give the best value service, the most comfortable coaches-provided by the national coach operator of the year- CTFC DVDs, complimentary refreshments, special prize draws and free gifts, and scintillating conversation (and singing and dancing) courtesy of Travel Ken and his bevy of beautiful assistants (and Paul). Where we do make profits- from the Golden Gamble, raffles and events like the Alan Hudson night on the 18th (hopefully!) 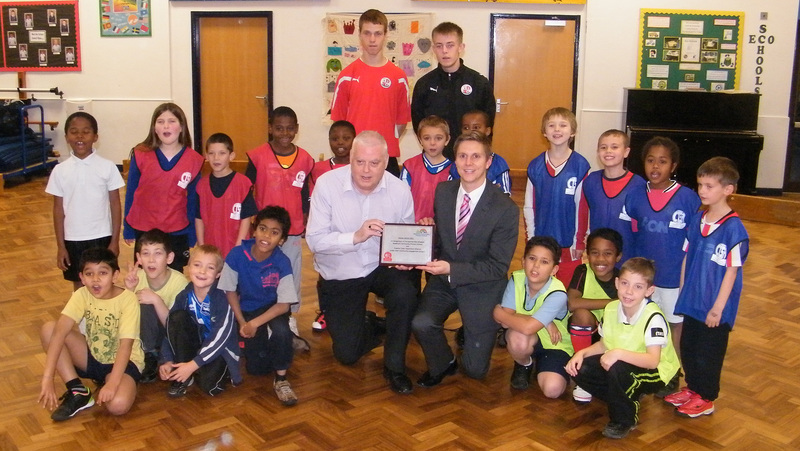 they go back into initiatives designed to benefit the club and community. 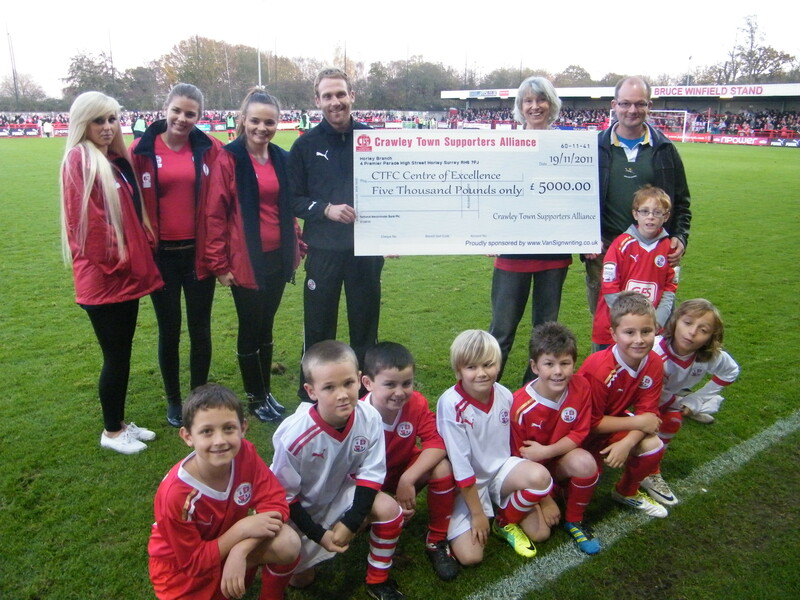 So far this season we’ve invested 5k into sponsoring the Centre of Excellence. 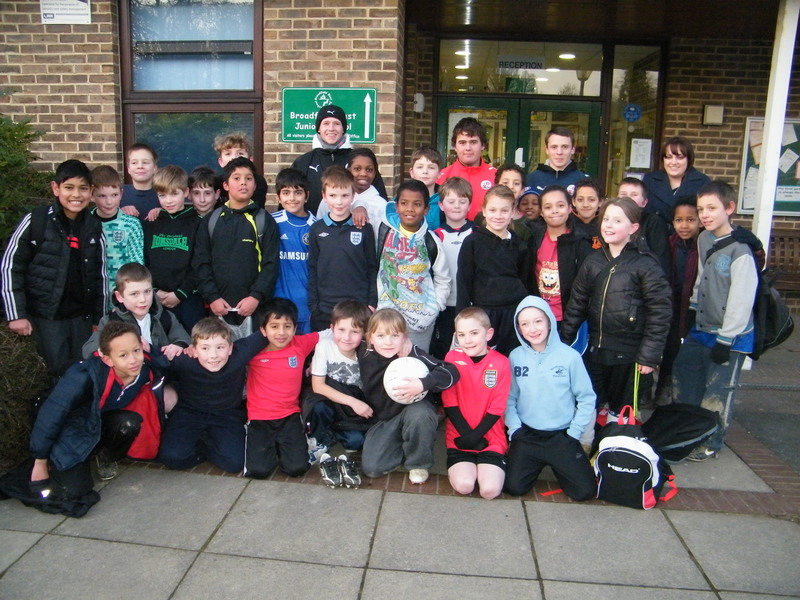 We’ve also paid for CTFC coaches to go to two local schools for 13 week programmes which deliver football coaching to kids who probably couldn’t afford to pay for it otherwise- kids who now have a firm attachment to our football club and will hopefully be the fans of tomorrow. Every penny we ever make will go into schemes which will benefit us all in the long run. That’s what we’re here for. And if you’d like to look at our accounts, read our minutes, ask us questions- or even vote our board members out of office- that’s your right. We give up our time to serve you and our football club, we’re answerable to you, and we’re damn proud of that. People should support our football club however they chose. Whether they travel with us, on a different coach, or on a train, in a car, or on a tandem, fair enough. Just turn up, support the team and stay safe (I wouldn’t recommend the tandem on the M25). Supporting the club however, for me, goes further than that. It’s about investing in the other things- buying the merchandise, using the bar, using your spending power wisely and encouraging those around you to do the same. When you spend the money in your pocket on a matchday, you have a choice. You can spend it where it will help your football club to improve the squad that you love, the infrastructure- to positively influence its future- or you can do something different. That choice is entirely yours. And so long as you make it advisedly, it’s the right choice. The only time I have an issue is the odd occasion when I’ve seen or heard supporters of our football club actively encouraging both home and away supporters to spend their money elsewhere. That upsets me, because it’s absolutely short sighted. In the long run, we’ll have what we can afford. So, as an irritating advert on the tv puts it, that’s how we roll. If you’re a member of the Alliance, we hope you’re happy with what we do and why we do it- and if you’re not happy, you can influence change. If you’re not a member of the Alliance, so long as you’re supportive of our football club, we love you anyway! Simples (sorry, that’s two irritating adverts for the price of one)! I assume that as any CTSA travel profit are given to the club and to invest in the kids, that any 3rd party travel profits are being saved for an end of season donation to the club? Or is the latter just a shrewd business opportunity seized upon much like the individual seen in Crawley selling unofficial Crawley merchandise? Nice piece Ian, like you the sentiment is to be a fan how you get to games is a matter of choice for people to make. Before i joined the Alliance i used the coahes run by Alain and he was professional manner, now he offers the choice to people and that is very good. People are missing the point WE ALL WANT THE SAME THING CTFC to do well, no mater how we get there as long has we get there safely and in one piece. So to all you have choices they are yours to make, let get behind the CLUB AND TEAM. No Sarah, it doesn’t matter one jot. All that matters is that we all get on and work together towards the same ends. Rick, we take our profits and decide how to spend them- but yes, essentially we agree initiatives with the club and then fund them. But we do it in partnership- it’s a two way street, we’re not simply a silent investor! Our books are open for all to see, and we’re available to our membership to be told if they think we’re getting it wrong- but hopefully we’ll get it right! Being a Trust we pay no VAT so we can maximise our profits, which is also a significant advantage. Keep up the good work Ian (and other members of the Alliance). You will never please all the people all the time. Thanks very much Alan, but by God I wish we could. It would save so much aggravation!